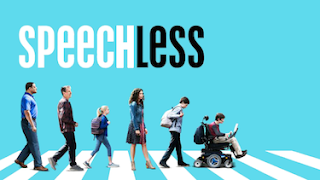 The ABC Television Network series SPEECHLESS will be honored with the Annie Glenn Award for 2017 by the American Speech-Language-Hearing Association (ASHA). Named for Annie Glenn, advocate and wife of astronaut John Glenn, the award honors those who have made a positive impact on the lives of people with communication disorders. "Speechless" is produced for ABC by Twentieth Century Fox Television. Mrs. Glenn, who experienced a severe stutter well into her adult years, has worked tirelessly for roughly 40 years as a champion for people with speech, language, and hearing disorders. "Speechless" is the trailblazing ABC family comedy that centers on a 16-year-old boy with cerebral palsy, and his dysfunctional, yet lovable, family. The character, JJ DiMeo, is nonverbal and uses an augmentative and alternative communication (AAC) device to communicate. The actor who portrays him, Micah Fowler, also has cerebral palsy. The show's creator, Scott Silveri, grew up with a brother with cerebral palsy who was nonverbal. The show is one of very few in the history of television to feature a character with a disability in a lead role. Among them, "Speechless" is especially unique in that it is a comedy. Reflecting on the show's impact, Mrs. Glenn noted, "It really is remarkable that a show like [Speechless] is on TV these days. Years ago, an individual with a disability would never have been a lead character in such a funny show. Think about how many people now understand that people who use different ways to communicate are the same as you and me. And that TV family is just as silly as your own family. I think that gives a lot of hope to families out there dealing with some struggles and trying to figure out their next steps. Nothing is bigger than the family working together." "We at 'Speechless' are honored and deeply gratified to be this year's recipient of ASHA's Annie Award," said "Speechless" creator/executive producer Scott Silveri. "'Speechless' is a show about communication: between parents and their kids, between brothers and sisters... but on a more literal level, between one non-verbal young man and the world around him as he strives to find what each of us wants-a way to be heard. Immersing ourselves as we have in the world of speech and alternative communication has been a revelation for our writers, cast and crew-one that has changed every one of us. But we do our work in a world of make-believe. As such we are humbled to be recognized by ASHA, a body of pioneers and tireless advocates who offer real-world solutions. We celebrate ASHA for the work they do, and thank them for this generous recognition. We will continue to strive to tell stories that are worthy of this honor," Silveri continued. "We are thrilled to recognize the show 'Speechless' with our 2017 Annie Award," said Gail Richard, PhD, CCC-SLP, 2017 ASHA President. "As a prime-time comedy on a major television network, 'Speechless' has a tremendous platform to raise awareness and understanding of people who communicate in a manner that is different from the norm. We hope its success will encourage the inclusion of more characters and stories in the media and entertainment industries that showcase the unique experiences and capabilities of people with communication and related disorders." The award will be presented to "Speechless" actors Micah Fowler and Cedric Yarbrough at an evening ceremony on Friday, November 10, 2017, at the ASHA Annual Convention at the Los Angeles Convention Center. The presentation of this prestigious award is an annual and well-received highlight of the professional conference, which regularly draws approximately 15,000 attendees-largely audiologists and speech-language pathologists. First awarded in 1987, past recipients of the "Annie" include Vice President Joe Biden, James Earl Jones, Gabby Giffords and Mark Kelly, Julie Andrews, Jane Seymour, Bob and Lee Woodruff, Bill and Willie Geist, and "The King's Speech" screenwriter David Seidler. SYRACUSE — Early Thursday morning at the cafe across the street from Syracuse Stage, an actor named Mickey Rowe (pictured) ducked in from the drizzly chill just as a barista unlocked the door. Starring as Christopher Boone in Simon Stephens’s “The Curious Incident of the Dog in the Night-Time,” he had a matinee to perform in a couple of hours, and an interview to give first. 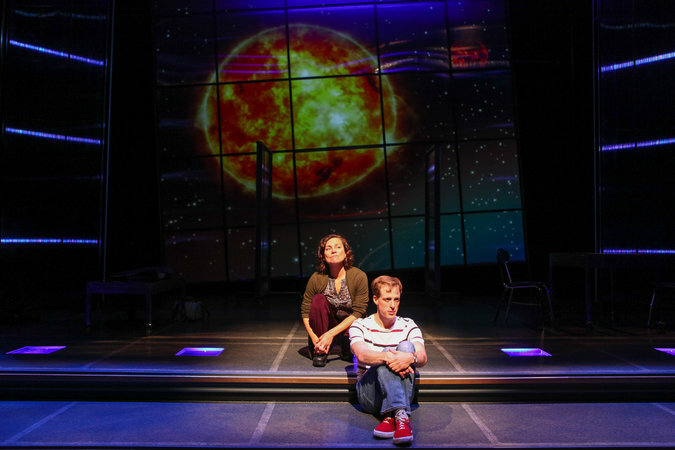 On Broadway, where the play was a Tony Award-winning hit, it ran eight times a week, with two actors alternating the demanding role of Christopher, a 15-year-old with autism who sets out to solve a mystery. In Syracuse, Mr. Rowe — thought to be the first openly autistic actor to play the role — does all nine shows a week. For him, such arduous work is a point of pride: evidence that an actor with a developmental disability can be up to the task. Confident enough in his performance to send a tweet to a writer for The New York Times, asking her to come and see (it worked), he means to show what’s possible when companies take a chance on actors like him — and by extension, what’s possible in the wider culture when other employers do. He doesn’t argue that roles like Christopher need to be played by people on the autism spectrum, but simply that those actors must be given a shot. A boyish 29-year-old Seattle native with the slight but toned build of a gymnast, he looked me in the eye and shook my hand when we met. On our table, he placed a sheaf of papers face down — scripted notes it made him feel better to have, which he consulted if I asked a question he wanted to be careful answering. His vocal tone, timid at first, soon had the resonance of an actor’s voice. That’s how he’s felt about performing, too, ever since he was little: perfectly comfortable as long as he knows the part he’s meant to play. Whether Mr. Rowe is the first autistic actor to play Christopher is hard to pin down, given the number of “Curious Incident” productions around the world. Even Mr. Stephens, the playwright, said that while Mr. Rowe is the first he’s heard of, he can’t be sure. Casting Mr. Rowe was the result of a deliberate effort by two professional regional theaters, Syracuse Stage and its co-producer, Indiana Repertory Theater (where the show opened this fall), to audition actors both with and without autism for the role. At a time when theaters are discussing diversity, there is a heightened pressure to include performers with disabilities. 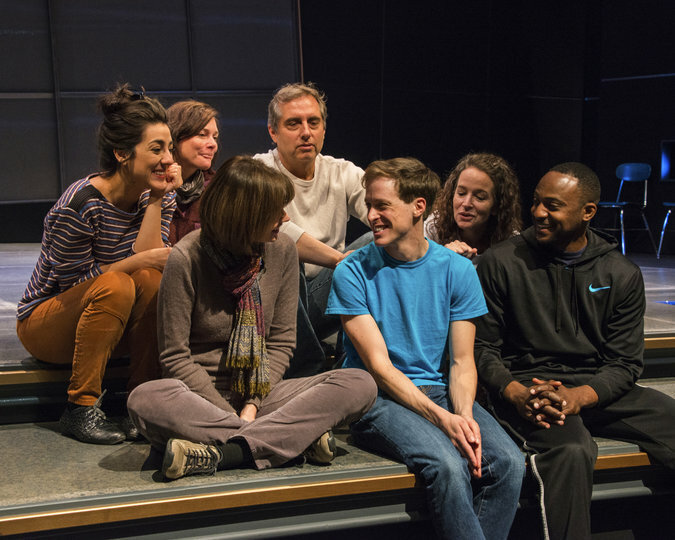 “Uncommon Sense,” Tectonic Theater Project’s new Off Broadway play about people with autism and their families, has an actor on the spectrum, Andrew Duff, in its ensemble. 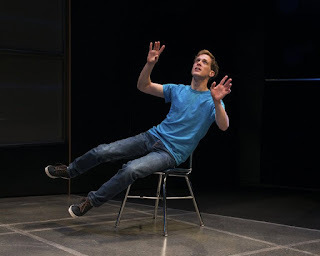 Robert Hupp, the artistic director of Syracuse Stage, said that seeking out actors on the spectrum “made logical and irrefutable sense” for “Curious Incident.” To him, Mr. Rowe’s performance is clear validation. Mr. Rowe, who earned a bachelor’s degree in drama from the University of Washington, found out when he was a senior there that he had autism. 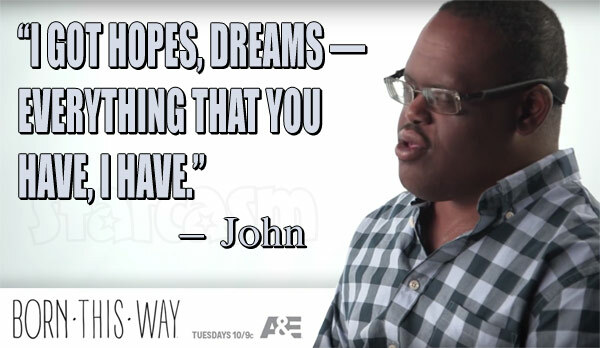 Legally blind, he struggles to read print smaller than 18-point type (he wears contacts onstage and glasses “in real life,” he says), and was in special education classes for his vision throughout childhood — years he spent friendless, obsessed with magic tricks and circus skills: stilt-walking, juggling, unicycling. It strikes him as telling that he got speech and occupational therapy, too. He suspects his parents knew he had autism but didn’t want to label him, and if so, he understands. He hasn’t asked them, though; he said they don’t have that kind of relationship. He is not Christopher, though, and he and Christopher occupy very different spots on the spectrum. Even so, he recognized enough pieces of himself in that monologue that he went home and listened to the novel, by Mark Haddon, that Mr. Stephens adapted into the play. Not long afterward, struggling to get work, Mr. Rowe threw in the towel on trying to pass as neurotypical. In an essay on the theater industry website HowlRound, he wrote about being an actor with autism, noting the “tension between everything that I am and everything that might be conventional for an actor.” He hoped his disclosure would change the way people looked at him, just enough to give him a chance. The piece raised his profile and put him on the radar of anyone searching for an actor with autism, but in practice nothing changed. Going out for roles, he still faced immediate roadblocks: the small talk, the eye contact, the instant connection an actor is supposed to make with the director. 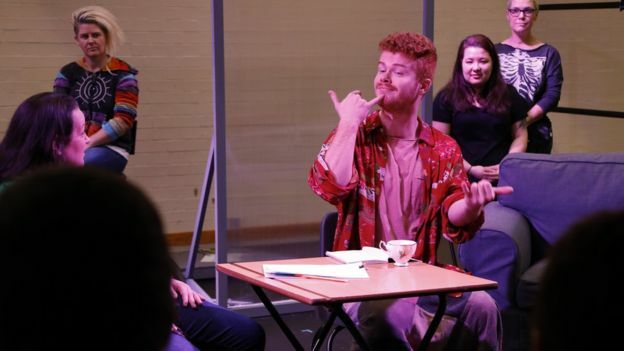 “Just how you walk into the room and shake hands with the person when you first meet them is a huge part of the audition, and people on the spectrum aren’t very good at that,” he said. So his résumé was comparatively slender when the Indiana/Syracuse production asked him to submit a video audition. Soon the show’s California-based director, Risa Brainin, flew to Seattle to see if he had the chops. If he didn’t, they weren’t going to compromise. In Syracuse, where the production runs through Nov. 12, Mr. Rowe plays Christopher with an agile grace, an impish humor and a humanizing restraint that seems directly connected to his experience of autism. When the stage directions say that Christopher barks like a dog, for example, Mr. Rowe chooses to underplay it. The attention the show has gotten has been positive for him. For one thing, Lincoln Center asked him to speak at its autism-focused Big Umbrella Festival next spring. And the ripples extend farther. Marissa Wolf, who is directing “Curious Incident” this winter at Kansas City Repertory Theater, in Missouri, said Mr. Rowe’s casting inspired her to choose an actor with Tourette’s syndrome, a condition often associated with autism spectrum disorder, to play Christopher in her production. Eager to work with Mr. Rowe again, Mr. Hupp and Ms. Brainin have been scheming about future projects, pondering which roles — maybe something in Shakespeare? — would be a great fit for him. What Mr. Rowe wants is a life in the American theater, probably with a stint in graduate school on the way. He can envision himself as the leader of a regional theater, and he is undaunted by the socializing that would require. Mingling may not be in his skill set, but to him, an artistic director is simply playing a role. And knowing that takes the fear away. "This is GLAAD’s eighth year of tracking number of series regular characters on primetime broadcast scripted series who are depicted as people with disabilities (PWD). "According to the 2016 American Community Survey conducted by the U.S. Census, 12.8 percent (40.7 million) of U.S. noninstitutionalized citizens are living with an apparent disability. 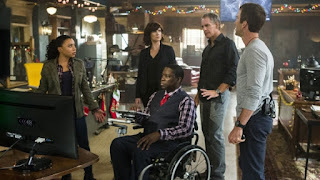 In its count, GLAAD included characters who would be covered under the Americans with Disabilities Act (ADA), which includes people living with non-apparent disabilities such as cancer or HIV and AIDS. Inclusion of those disabilities would greatly increase the figures found by the U.S. Census Bureau. 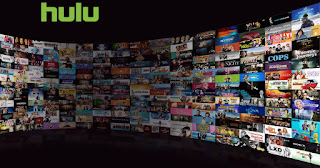 "While the percentage of series regular characters living with disabilities on broadcast has increased this year, primetime programming continues to fall short in reflecting the reality of this demographic. This year, the percentage and number of series regulars with disabilities has risen slightly to 1.8 percent (16 characters) from the previous year’s 1.7 percent (15 characters). This is the highest percentage of inclusion since GLAAD began gathering disability statistics in the 2010-11 season."